Searching for Dallas meeting rooms with a unique environment, superb service, state of the art technology, a convenient location, and excellent food? Discover the Y.O. difference as you work closely with our dedicated staff to arrange an impressive and unique off-site meeting at the Y.O. 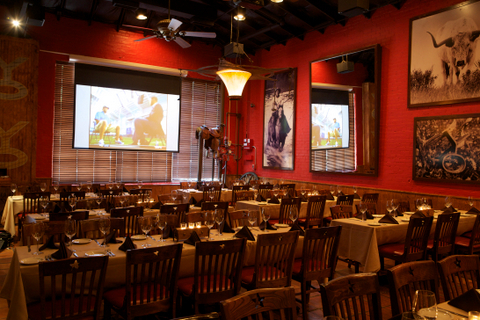 Steakhouse Meeting Rooms located in downtown Dallas. Our distinctive environment, friendly staff, and highly-acclaimed food will have your attendees delighted, resulting in a productive, successful day. With its authentic ranch décor, above-and-beyond customer service and some of the best food from one of the best steakhouses in Dallas, Y.O. Steakhouse is a premier downtown location for Dallas meeting spaces. Whether you’re planning a board meeting, award banquet, or celebratory gathering, our private event venues in Dallas provide the distinctive setting you need to ensure your event is a grand success. Casual, rustic yet undeniably elegant, our private dining rooms in Dallas provide the perfect atmosphere for creativity, collaboration, and open communication among your guests. At Y.O. 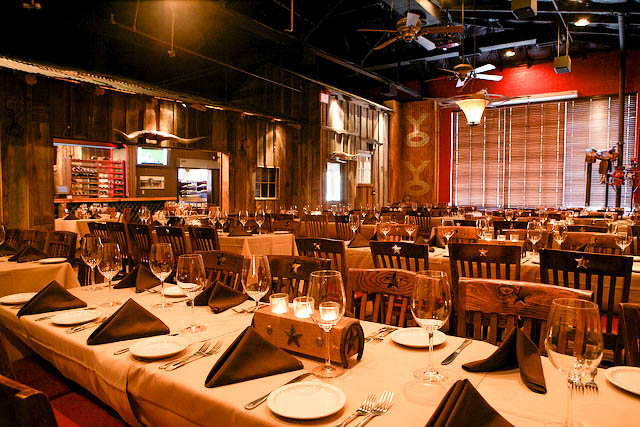 Ranch Steakhouse, we have private dining Dallas meeting rooms suitable for every occasion, whether it’s a large corporate event or an intimate meeting. When you need business meeting venues for a large event, the Lodge is ideal. This Dallas meeting space can accommodate between 20 and 110 people, depending on the configuration you need for your event. Inquire about set ups based on the size of your party. The Lodge comes equipped with all the state-of-the-art audio and visual amenities you need to make a stellar presentation, including access to cordless microphones, a large drop-down screen, and laptop-compatible projector. Book a corporate dinner, meeting or training session in our exclusive Longhorn Lounge private dining room. With its turn-of-the-century hardwood floors, antler chandeliers and Y.O. artifacts, it’s also perfect for lunch meetings seating up to 35 guests. Three flat-screen televisions compatible with laptops and DVD are available for your presentations, and our Direct TV service means you can stream your event live. The Lounge can also be combined with the Lodge to provide space for as many as 145 guests for a sit-down dinner, or for up to 260 for a reception. High-speed, wireless internet access and full A/V services (including a big screen drop-down which may be used for presentations or to loop a slideshow) provides the technical elements to ensure our meeting rooms are as productive as they are enjoyable. The Y.O. Steakhouse located in downtown Dallas is home to some of the best food in the city, including the Buffalo Filet featured on the Food Network, a dish that earned us praise as “one of the nation’s finest steakhouses.” Our meeting room menus feature our most popular dishes, from fresh fish and succulent fowl to mouth-watering steaks. Our menus are designed to accommodate all price points. They include soup or salad starters like our delectable Smoked Corn and Sweet Potato Chowder. Guests have a choice of our Texas Pecan Pie or gluten-free Chocolate Decadence tortes for dessert. In addition to cuisine guaranteed to make your meeting memorable, the Y.O. 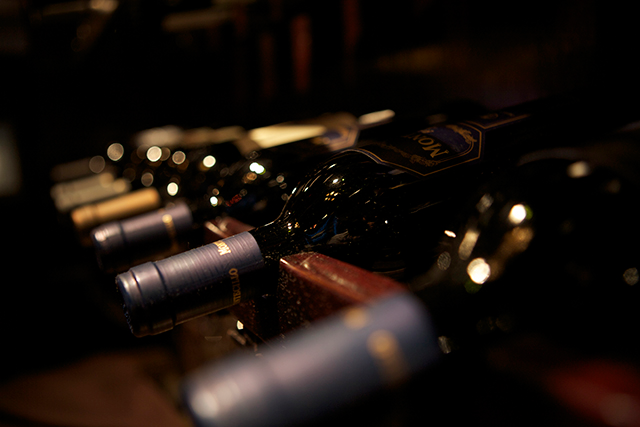 Steakhouse provides the services you need to ensure the event goes off smoothly and stress-free. Under the leadership of our dedicated event concierge Michael Street, our courteous and professional staff can help you coordinate all the details, from your audio/visual equipment needs to high-speed Internet access. With Dart’s West Station just one block away, our downtown Dallas location in the heart of the historic West End district meeting rooms offer you a convenient location for your next business meeting or event. We’re situated near the Dallas Convention Center, and we’re in close proximity away from Dallas’ most popular arts and entertainment attractions. When you choose the Y.O. Steakhouse for your next meeting venue, you can count on enjoying a productive and successful event. The Y.O. 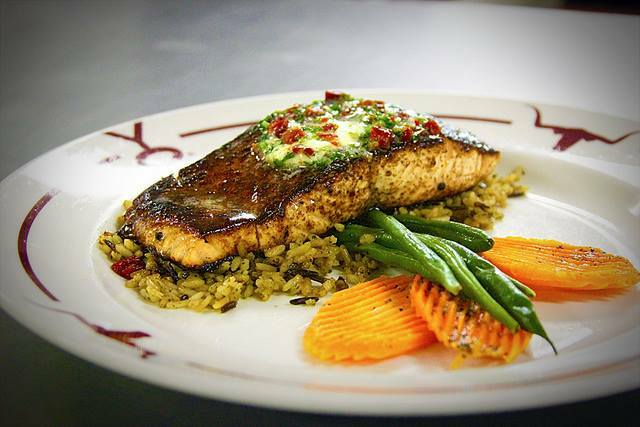 Steakhouse is located near the American Airlines Center, Dallas Convention Center, the Performing Arts and Entertainment District, and other downtown Dallas destinations. Additionally, we’re located one block away from Dart’s West End Station in the historic West End district in the heart of downtown Dallas, which is served by the Central Business District (CBD) segment of the DART Red and Blue Rail lines. Please contact us to discuss how our Dallas meeting rooms can meet your needs. Uptown Dallas, and the Dallas-Fort Worth area.